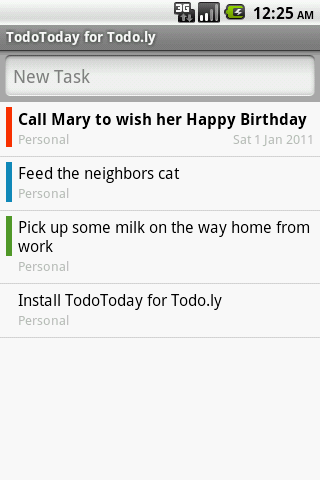 The latest update to TodoToday for Todo.ly has been released to the Android Market. This release brings a couple of new features and enhancements. Viewing of additional tasks is now supported beyond the default Due, Overdue and Next Action list. See the Task options in the Settings. A new Edit Task feature is available with the paid version TodoToday Pro for Todo.ly.